Do you ever wonder what the next generation is interested in and how they choose to be involved with, and give to, different charities? Listen in as Sharna Goldseker, co-author of How Next Gen Donors are Revolutionizing Giving shares some insights into this topic – and about her personal giving journey. Visit https://2164.net/generation-impact/ for more information. The key points covered in this podcast discussion are that NextGen Donors: • are interested in many of the same issues as their parents, but want to address issues differently • want nonprofits to value the contribution they bring – beyond simply party planning • are in the receiving end of an unprecedented transfer of wealth • are focused on impact • have a desire to be a part of something bigger than themselves Visit www.socialgoodinstigators.com to find the podcast, transcript, and to sign up to receive notifications as new episodes are released (every 2-3 weeks). Episodes are also available via Stitcher, iTunes, GooglePlay, and iHeartRadio. ABOUT THE SPEAKER: Sharna Goldseker is a leading expert on multigenerational and next generation philanthropy. She is executive director of 21/64, the nonprofit practice she founded to serve philanthropic and family enterprises with strategies for transforming how families who give will define their values, collaborate, and govern in the decades ahead. She is also a speaker, writer, and consultant who engages multiple generations in the intersection of values and strategy to transform the art of giving. A next gen donor herself, Goldseker offers a trusted insider’s perspective on philanthropy. She is a recipient of the J.J. Greenberg Memorial Award for extraordinary leadership, and the RayLign Foundation Family Well-Being Award. She was named one of 2016’s Women of Influence by New York Business Journal and one of 2014’s Women to Watch by Jewish Women International. A consistent presence in philanthropy for two decades, Goldseker advises leaders on next generation engagement including multigenerational organizations, nonprofits, philanthropic networks, and foundations. Goldseker has written for Forbes, Philanthropy Impact, and has been featured with coauthor Michael Moody, in the New York Times, Stanford Social Innovation Review, and Huffington Post. She is married, with two children, and lives in New York City. Sometimes an idea starts small and grows into something much, much bigger. That was the case for Tim and Agata Scott and Mitscoots Outfitters. What started with manufacturing socks to sell – and give away – is now an outfitter company that employs transitioning homeless, manufactures a full line of products, serves agencies that help the homeless and ships their products around the world. In this episode, we talk about the process of starting a social good venture and how messaging needs have changed. The key points covered in this podcast discussion are: • Asking others for feedback • Addressing the core issue • Knowing your core mission • Using social media to raise awareness • Starting simple • Starting, pivoting, and shifting Visit www.socialgoodinstigators.com to find the podcast, transcript, and to sign up to receive notifications as new episodes are released (every 2-3 weeks). Episodes are also available via Stitcher, iTunes, GooglePlay, and iHeartRadio. About Tim Scott and Mitscoots Outfitters: Mitscoots Outfitters is an Austin based clothing and accessories company on a mission to outfit and employ individuals transitioning out of homelessness. A mission described as Get + Give + Employ. Founded in 2012, Mitscoots Outfitters has donated tens of thousands of items to individuals in need all over the country and through employment, lifted individuals out of homelessness and into stable housing. The company and social enterprise model was inspired by a decade of volunteering in the homeless community by co-founders and husband / wife team Tim and Agata Scott. They were confronted by a community in dire need of quality clothing and economic opportunity. Tim and Agata took their professional experience in social service, retail and brand building and put those skills towards making an impact on homelessness. With each item purchased through Mitscoots Outfitters an equal quality item is donated to an individual in need and someone transitioning out of homelessness is employed to package each item for customers. Have you ever wondered what successful social enterprises do differently? On this call, Kathleen Kelly Janus shares about many aspects of social entrepreneurship. These findings are a result of hundreds of conversations Kathleen had with social entrepreneurs over the last few years. In the interview, she shares 5 specific strategies (from her book, Social StartUp Success) that she found successful social entrepreneurship ventures use. These include: • Test ideas first • Begin measuring impact early • While scaling up, test out different revenue models • Practice collective leadership • Tell a good story About the Speaker: Kathleen Kelly Janus is a social entrepreneur, author and lecturer at Stanford University. As an expert on philanthropy, millennial engagement and scaling early stage organizations, her work has been featured in the Wall Street Journal, Huffington Post, Stanford Social Innovation Review, Tech Crunch and the San Francisco Chronicle. She is the co-founder of Spark, the largest network of millennial donors in the world. Based in the heart of the Silicon Valley, her forthcoming book, Social Startup Success, features best practices for early stage nonprofit organizations based on a five-year research project interviewing hundreds of top-performing social entrepreneurs. She can be reached on Twitter via @kkellyjanus and at www.kathleenjanus.com. The nonprofit sector is going through some pretty significant shifts right now. These include a focus on sustainability, measuring impact, and developing more strong leaders. In this episode, Wayne Elsey shares about these, as well as suggestions for managing critics and leading a full (but not too busy) life. Visit www.socialgoodinstigators.com to find the podcast and to sign up to receive notifications as new episodes are released (every 2-3 weeks). Episodes are also available via Stitcher, iTunes, GooglePlay, and iHeartRadio. Our guest for this episode is Wayne Elsey. Wayne is the founder and CEO of Elsey Enterprises (EE). Among his various independent brands, he is also the founder and CEO of Funds2Orgs, which is a social enterprise that helps nonprofits, individuals and organizations raise funds while helping to support micro-enterprise (small business) opportunities in developing nations. The shoe drive fundraising recently unveiled the 3.0 version of its new website, which you can see at Funds2Orgs.com. You can also follow Wayne at WayneElsey.com and at his blog, NotYourFathersCharity.com, which includes digital downloads of all of his books and resource papers on the “Free Resources” page. Sharing about what we do is at the core of every endeavor. That’s even more true for the nonprofit and social entrepreneurial space. In this episode, Adam Walker shares tips for sharing about what you do, as well as some things to think about as you develop your online presence. He’s recently launched a podcast about nonprofit digital marketing, so if you’re looking for more about that, be sure to visit sideways8.com to listen in. • The key points covered in this podcast discussion are: • Set Strict Boundaries to Keep from Feeling Swamped • Strategic Planning is a Key Opportunity for Small Nonprofits • Bold Visions Open Doors • Define and Share Your Bold Vision in 20 Seconds or Less • Think Big – and Take Time to Step Back Visit www.socialgoodinstigators.com to find the podcast, transcript, and to sign up to receive notifications as new episodes are released (every 2-3 weeks). Episodes are also available via Stitcher, iTunes, GooglePlay, and iHeartRadio. Changing careers can be difficult for anyone. When you’re a corporate, number-focused person transitioning to the nonprofit world it can probably go either way. For Diane Nelson and for VIPS, where she serves as executive director, it’s been a perfect match. In this episode Diane shares a bit about the transition, as well as ways they increased their budget from $1.1 to about 2.6 million. The key points covered in this podcast discussion are: • Leading a Nonprofit Requires Creativity, Flexibility and Strategic Thinking • Competitive Bids Can Save Thousands of Dollars • Don’t Spend Money Before You Know Where It’s Coming From • Analyze Where Funding is Coming From – and Where It Should be Coming From • Ask – and You Might Just Receive • Tell Stories About Individuals to Better Communicate Impact of Programs • Sometimes, Earned Income Opportunities Also Increase the Positive Impact of Your Programs • Seek Out Collaborations to Extend Impact (and Potentially Raise Funds) • Spending Time Agreeing on Expectations is Essential to Any Partnership • Don't create something, cure something. Visit www.socialgoodinstigators.com to find the podcast, transcript, and to sign up to receive notifications as new episodes are released (every 2-3 weeks). Episodes are also available via Stitcher, iTunes, GooglePlay, and iHeartRadio. For a nonprofit, having a high performing board is essential. Unfortunately, many nonprofits struggle with this issue. In this episode. Nathan Webster with Dream Big Community Center in Vancouver Washington shares about a board challenge, what he learned from it, and how he’s approaching board members now. The key points covered in this podcast discussion are: • Don’t be Afraid to Start a Conversation with a Potential Donor • When Approaching Foundations, Do Your Research • When Recruiting Board Members, Make Sure You Clarify Expectations • Don’t Invite Someone to Be a Board Member at the First Visit • Be Clear About Your Expectations of Board Members • Two Key Qualities for Board Members: Commitment and Connections • When in Doubt, Remember Why You’re There Visit www.socialgoodinstigators.com to find the podcast, transcript, and to sign up to receive notifications as new episodes are released (every 2-3 weeks). Episodes are also available via Stitcher, iTunes, GooglePlay, and iHeartRadio. Most of us work in environments that are in constant flux. It’s a sign of our times right? In this episode, Jason Steinberg shares some stories – and advice – from the unpredictable environment of a refugee camp. The key points covered in this podcast discussion are: • Tactics may change, but the goal remains the same • When working in a changing environment, you learn to roll with the punches • Sometimes Plan B works out better than Plan A • Listening is a core skill in relief work • Stay humble and stay focused Visit www.socialgoodinstigators.com to find the podcast, transcript, and to sign up to receive notifications as new episodes are released (every 2-3 weeks). Episodes are also available via Stitcher, iTunes, GooglePlay, and iHeartRadio. Have you ever felt that your organization could achieve better results if they just faced problems differently? If so, this interview is for you. Randy Salzman shares some background about thinking through and addressing problems more comprehensively, or design thinking, and how to help your organization shift to that approach. He is a co-author of Design Thinking for the Greater Good: Innovation in the Social Sector, which covers this topic in more detail. The key points covered in this podcast discussion are: • Design thinking is simply a problem-solving process • A wicked problem is most detected when you realize there is no single easy fix • Overcoming bureaucracy is often necessary to create change (even in the nonprofit sector) • Rethinking the need is often a good first step in determining the change that is needed • From a small struggling nonprofit to a regional instigator of social good • Start by bringing people together for a conversation • Work together better by valuing diversity in perspectives • Empower both instigators and analytics in problem solving by giving each their own (separate) turn • Look to other sectors to find analogies that can be applied to your challenge Visit www.socialgoodinstigators.com to find the podcast, transcript, and to sign up to receive notifications as new episodes are released (every 2-3 weeks). Episodes are also available via Stitcher, iTunes, GooglePlay, and iHeartRadio. • Sometimes the best way to make an impact is to build on what you're already doing• When you’re a thought leader, scaling a project or concept can go faster • Giving permission to fail will increase the number of your successes • Ways to give permission to fail • 'Failures’ can be the on ramp for processes to operate more efficiently and effectively • It's possible to pick up new ideas from diverse sources Visit www.socialgoodinstigators.com to find the podcast, transcript, and to sign up to receive notifications as new episodes are released (every 2-3 weeks). Episodes are also available via Stitcher, iTunes, GooglePlay, and iHeartRadio. In this interview with Scott Reichenbach, we explore ways Cure Clubfoot has learned to extend their reach through various partnerships – with local professionals and affiliates as well as a partnership with RemitRadar, a payment processing company. While not a primary focus of the call, one things that really stands out for me in this interview was how sometimes the simple act of raising awareness can help eliminate negative stigmas. The key points covered in this podcast discussion are: * Eliminate Stigma – and Improve Quality of Life – by Raising Awareness * Aligning with a Tech Company can be of Great Benefit to a Nonprofit * Common Goals Can Help Build Trust Quickly * Increase Impact by Utilizing Local Partnerships * Build Community – and Increase Impact – by Hosting Peer Learning Gatherings * Encourage Planning and Visioning by Building in Times for Introspection * Grow Stronger Quicker by Letting Local Partners Set the Pace * Slow and Steady Wins the Race Visit www.socialgoodinstigators.com to find the podcast, transcript, and to sign up to receive notifications as new episodes are released (every 2-3 weeks). Episodes are also available via Stitcher, iTunes, GooglePlay, and iHeartRadio. Partnerships are best developed when two (or more) people or entities realize they can make a bigger impact by working together. This partnership, between Bethel University and Bright Light Volunteers is one of those. Stacie Freeman, shares her perspective on what's gone well, as well as a couple of learning experiences. Define Your Dreams – and Follow Them. Jennifer Aronson explores key issues from the Boston Foundation’s recently published report, “Opportunity in Change.” Key points include: • Leadership Changes are Happening Across Generations • Transition Times Can Be an Opportunity to Make Structural Changes • The Importance of Avoiding the Temptations of the Frankenstein Model of Nonprofits • Seeing Transition Times as an Opportunity to Address Diversity, Equity and Inclusion • Deciding to Make Time for Long-Term Thinking and Planning Jennifer Aronson leads key initiatives at The Boston Foundation to enhance the impact of the Massachusetts non-profit sector. Her portfolio includes capacity building, leadership development, structural innovation strategies, and programs for guarantee and non-guarantee organizations, collaborations, and networks. She's done a lot of work in this area and was a big part of a recent report that came out from the Boston Foundation called "Opportunity In Change." Visit www.socialgoodinstigators.com to find the podcast, transcript, and to sign up to receive notifications as new episodes are released (every 2-3 weeks). Episodes are also available via Stitcher, iTunes, GooglePlay, and iHeartRadio. After attending both the American Conservatory Theater and Boise State University, Nick moved to Manhattan Beach, California, 25 years ago to pursue a career in the film industry. With an entrepreneurial spirit, Nick created and founded a series of companies. In 2006 with a new passion for aiding the aging population, he co-­founded Adia In­-Home Care, support services which enhance the quality of life for the aging, and recently started Assisted Preferred, a local information site and customer support service for placement services, quality senior care referrals and ongoing support. Walk With Sally was founded by Nick Arquette in 2005, naming it for his mother who was diagnosed with breast cancer and after many years of treatment, died when Nick was sixteen. He never forgot how challenging and isolating the years of his mother’s illness and loss had been for him as a child. Nick searched for mentoring opportunities in the community only to discover that no organization was filling this critical support gap. Walk With Sally’s core mentoring program has expanded, having served hundreds of families throughout the South Bay over the past 10+ years and today is actively serving 63 children, boys and girls ages 7-17, with trained volunteer mentors. Visit www.SocialGoodInstigators.com to find the podcast, transcript, and full guest bio. Episodes are also available via Stitcher, iTunes, GooglePlay, and iHeartRadio. Deans brings highly regarded C-Level expertise in celebrity philanthropic engagement as well as global financial services, having held posts with Living Cities, AIG, MBNA, and American Express. She holds a B.A. in economics and political science from Columbia University. Currently, she lives in the Bronx with her husband and son. The NBPA Foundation provides strategic funding and support for players' community engagement while also communicating their work to the world in order to accelerate and maximize its impact. The players' work is global and collectively spans a wide range, from critical charitable initiatives to social entrepreneurship. 4. A Recurring Question: What Difference are You Making? Welcome to Episode 42 of the Nonprofit Leaders Network podcast series. Our guest is Lauralee Lindholm who, along with her husband, have been involved with rural community development in Ethiopia for over 28 years. In this podcast interview, we discuss topics relating to starting small, letting the experts direct program direction, connecting your board to your program, and striving for self-sufficiency so your cause can go on and grow without you. Lauralee spent 18 years in Africa with her husband doing rural community development as a missionary. When they returned to the United States, they were overwhelmed with how much is wasted in the U.S. and how much is needed there. Ten years ago, they organized Heart for Ethiopia as a nonprofit, started selling donated books on their Heart for Ethiopia eBay store, and soon needed help with shipping as the sales rolled in. From their bookstore proceeds, they have sent over half a million dollars to Ethiopia for rural development in the last ten years. Heart for Ethiopia focuses on helping rural education and development through churches out in the countryside, where there's almost no other type of help. There, with a little money, they make a big impact. Susan is an experienced leader in the education non-profit sector. She previously held the position of Executive Director at the Manhattan Beach Education Foundation, where she raised millions of dollars annually. She recently raised funds for the El Camino College Foundation. Her career began in Washington, DC, consulting to EPA and state environmental agencies. Warshaw holds a master’s degree from the University of Southern California, and a bachelor’s degree from Georgetown University. She is the Vice President of Philanthropy at the Neptunian Women’s Club in Manhattan Beach. Grades of Green began in 2008 at Grand View Elementary in California by four moms wanting a better world for their children. The founders created a non-profit so other schools would have free and easy access to the tools and information they have developed to empower and inspire students to care for the environment. Visit www.SocialGoodInstigators.com to find the podcast, transcript, and to sign up to receive notifications as new episodes are released (every two weeks). Episodes are also available via Stitcher, iTunes, GooglePlay, and iHeartRadio. Welcome to Episode 40 of the Nonprofit Leaders Network podcast series. Our guest today is John Marshall, President and Chairman of the Board of the Johnny Mercer Foundation. Our conversation includes topics relating to a shift in focus, overcoming pushback to change, the evolution and development of a program, and using partnerships to extend the impact of your nonprofit. The mission of The Johnny Mercer Foundation is to support the discipline of songwriting in the tradition of the Great American Songbook as exemplified by the life and work of Johnny Mercer: lyricist, composer, performer, collaborator and producer. The Foundation continues Johnny’s legacy by partnering with individuals and organizations dedicated to celebrating and nourishing the disciplines he mastered, and the causes he and Ginger Mercer championed. Visit www.SocialGoodInstigators.com to find the podcast, transcript, full guest bio, and to sign up to receive notifications as new episodes are released (every two weeks). Episodes are also available via Stitcher, iTunes, GooglePlay, and iHeartRadio. Welcome to Episode 39 of the Nonprofit Leaders Network podcast with our guest Megha Desai who is the Director of the Desai Foundation. Topics we discuss include the transition from a family foundation to a public foundation, an innovative way to effectively get the word out about your nonprofit, connecting your board members to the mission, and building trust and long-term relationships with those you serve. In our podcast this week with Paddy O’Brien, author of “Lean for the Nonprofit: What You Don't Know Can Cost You,” we are discussing how applying Lean concepts can greatly benefit your nonprofit organization by streamlining processes, maximizing use of funds, and even increasing income as was done with one zoo. Visit www.SocialGoodInstigators.com to find the podcast, transcript, and to sign up to receive notifications as new episodes are released. Episodes are also available via Stitcher, iTunes, GooglePlay, and iHeartRadio. In our podcast discussion this week, we are chatting with Lisa Woll, CEO of The Forum for Sustainable and Responsible Investment and the US SIF Foundation. We discuss topics relating to building an effective board by doing such things as changing how you evaluate your candidates, changing bylaws as needed, and methods for developing good board members including helping them build self confidence. 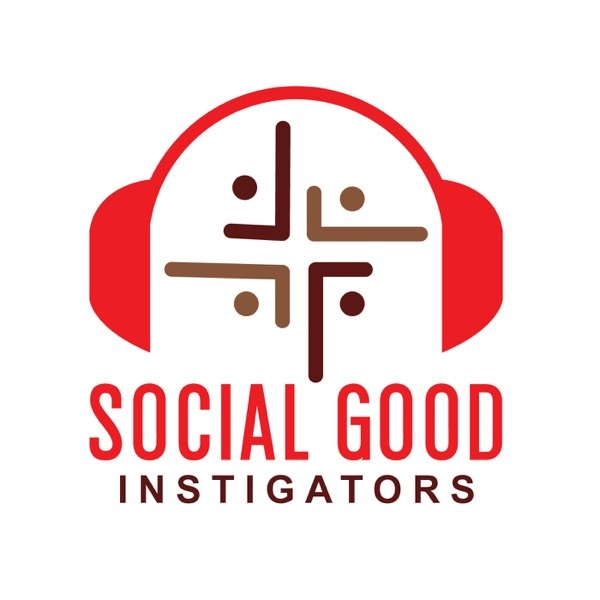 Visit www.SocialGoodInstigators.com to find the podcast, transcript, and to sign up to receive notifications as new episodes are released (every two weeks). Episodes are available via Stitcher, iTunes, GooglePlay, and iHeartRadio. Visit www.SocialGoodInstigators.com to find the podcast, transcript, and to sign up to receive notifications as new episodes are released (every two weeks). Episodes are also available via Stitcher, iTunes, and GooglePlay. In our podcast discussion this week, we are chatting with Nina Dudnik, founder and CEO of Seeding Labs. We discuss topics relating to taking a nonprofit from an idea run by a group of volunteers to a productive organization, Nina’s challenges of shifting from the scientist mode to the nonprofit leader mode, and the steps they took to professionalize and fund their growing idea. Visit www.SocialGoodInstigators.com to find the podcast, transcript, and to sign up to receive notifications as new episodes are released. Visit www.SocialGoodInstigators.com to find the podcast, transcript, and to sign up to receive notifications as new episodes are released (every two weeks). Visit www.SocialGoodInstigators.com to find the podcast, transcript and full bio, and to sign up to receive notifications as new episodes are released (every two weeks). We discuss topics relating to how to increase leadership team strength through strength-based hiring, increasing efficiency and reducing confusion through nonprofit mergers, successfully replacing a long-term founder and leader, and the difficult decision of cancelling a long-term program. In our podcast this week, we are chatting with Hillary Schafer, Executive Director of the Jefferson Awards Foundation. Hillary shared her experiences and reactions to transitioning from the public sector to the nonprofit sector, how she has overcome some of the challenges of her position, and her insights into working with a board of directors. In this recording, you’ll learn the principles of becoming a person of influence as laid out in John Maxwell’s best selling leadership book, Learning to Become a Person of Influence (with a focus on the nonprofit sector). When you register, you’ll receive access to the recording, transcript, powerpoint and a personal Influence Assessment. To access the transcript, powerpoint presentation, and a personal Influence Assessment, visit: http://bullockconsulting.net/influence-free-audio-and-assessment. • A $50,000 donation via text?! Visit www.SocialGoodInstigators.comto find the transcript and to sign up to receive notifications as new episodes are released (every two weeks). Visit www.SocialGoodInstigators.com to find the transcript and to sign up to receive notifications as new episodes are released (every two weeks). Chris McFarland joined the PULSE team in November of 2010 as Executive Director. Previously, he served as a national Festival Director with the Luis Palau Association for 7 years, moving to several major U.S. cities to build teams from the ground up, overseeing all operations including budget formation, fundraising, and public relations. PULSE is a prayer and evangelism movement on a mission to help the younger generation come to know Jesus by hosting outreach events, providing the evangelistic voice at other organizations’ events, training evangelists on American college campuses and overseas. PULSE was started on the North Dakota State University campus in 2004 by Nick Hall. Visit www.SocialGoodInstigators.com to find the transcript and to sign up to receive notifications as new episodes are released (every two weeks). Episodes are also available via Stitcher, iTunes, and GooglePlay. Jeff Griesemer is the founder of Child Rescue Network(CRN) where he serves as President and CEO. In 1994, Jeff saw first-hand the incredible damage inflicted on two innocent children who were abducted but finally rescued after 5 long years. Since then, he has been involved with issues regarding missing and victimized children. In addition to 17 years experience developing and implementing child safety programs, he has received training from the National Center for Missing and Exploited Children, the US Justice Department's Office of Juvenile Justice and Delinquency Prevention, and Fox Valley Technical College regarding missing child case management and safety procedures. He also had training including Incident Command, Search and Rescue techniques, Missing Child & Disabled Adult Search procedures with the NJ State Police and Internet Crimes training with the Florida Department of Law Enforcement. Marketing your brand is very important for any nonprofit. Ways of achieving this are speaking, getting out in the community and talking to different groups including groups like Rotary, professional groups and chambers of commerce. It also includes the media. If there's a local story you can provide appropriate content or context for, reach out to the media and let them know you are available for interview anytime. Over time you will establish a positive relationship with them. This means they will likely reach out to you when something comes up. Cause marketing was Jeff's main idea of raising money because of his background in radio. He consults businesses and nonprofits on how partnerships can bring much-needed programs to communities, while also enhancing corporate brands and building customer loyalty. With so much focus on this in the early days he admitted to missing out on some opportunities. So now they are trying to catch up on applying for more grants, working on building donor relations and using other fundraising tools that nonprofits utilize. Corporate partners should be ones that have a natural passion for your mission. An example is a bottled water company which donates to areas of the world where drinking water is scarce. Jeff explained that this and other corporations or businesses who do a similar act of giving are really living out their mission. Consumers expect companies to give back to the community. The result is being more friendly to customers, and growing a base of loyal customers. But make a note that customers also can spot it if it's more about the company than the cause. "You just have to remember that you have that passion, keep that vision in front of you, front and center, keep moving forward. And, while it may not happen as quickly as you would like if you just keep pushing for it, it does happen. Things fall into place..."
Go to www.SocialGoodInstigators.com for more information on the podcast. Dave is the President and CEO of Second Harvest Food Bank in Florida and is one of Orlando Business Journal’s 2015 class of CEO of the Year honorees. He has 22 years of experience in the food security sector. He started in non-profit management with a food bank in Miami, as president and CEO and then moved on to work at the national level for Feeding America as vice president of business development. Dave also serves on various boards at the local, state, and international levels. Engaging the Board in Developing a Strong Vision Dave believes in the old saying “Where there is no vision, the people perish.” That vision, though bigger than the board itself, should lay out a map of where they're going. So co-create that vision, and eventually your mission, with your board. Using the Strategic Plan as a Way to Document Progress Strategic planning may sound a lot of work but if done right, you have the roadmap to where you are going. Document the progress towards that vision and when people see progress and positive results, they're more likely to stay involved. Building on a Strong Foundation and Envisioning a Better Future Review the mission of your organization and what it was in the past and hit the refresh button. Does this mission still hold or does it need to be tweaked? What else can you do to benefit the community? Healthy questions such as those make your direction much clearer. Staying Tuned in with Your Board Dave recalls being an executive director of a different organization in the past where he thought he got out too far ahead of the board of directors. And he has learned that lesson. He says it's all about communication, communication at a very high level. "The relationship between the executive director and the board… I liken it to a dance. Sometimes you have to lead and sometimes you have to follow. And you try not to step on each other's feet," Dave added. Investing Time to Effectively Manage a Volunteer Board Invest time with the board, your officers, the subcommittees, and activities of the board and build good relationships with the group and individually. Attend committee meetings and be part of those conversations. Recruiting and Vetting Potential Board Members It is good to establish a process for vetting prospects. Look for potential members who have a passion for and belief in you vision and mission. Diversity among members is also as important. Dave says that the more you can achieve a real nice mix and variety of people, the richer the conversation and the bigger the benefit for the organization is. You also want people who have some influence, people who are connectors and ideally someone who is close to the population you are serving. And for qualified people whose reasons for joining the board is still unclear to you, suggest they be involved in a subcommittee first. When you see how engaged they are, you may want to consider them for the governing board at some point in the future. Find more information on the podcast at www.SocialGoodInstigators.com. Bob has served as the Executive Director of The New Albany (Indiana) Housing Authority (NAHA) since 2001. He has degrees in Business Administration and Education, as well as holding National Public Housing Management Certifications from NAHRO and Nan McKay and the Rutgers University Executive Training Certification from PHADA. NAHA was established on March 30, 1937 and today has 1082 Public Housing Units and 408 Section 8 Units. Awards include the 2013 National NMA Excellence in Housing Award and 2014 NAHRO National Awards of Merit for innovative programming and partnerships. NAHA continues to be a HUD National “High Performer” in Public Housing and Section 8 Programs and is proud as assisting residents to become home owners. Collaboration provides many services your organization cannot provide. While NAHA’s particular role is keeping a roof over someone’s head and their family, their collaborating agencies provide wrap-around services that help their residents succeed. For many residents, their wages are not very high and they need a lot of services. Collaborative partners provide help through workshops, paying utilities for residents and providing food and clothing. One of their collaborating agencies has a teacher on-site to help residents earn their GED. They recognize that education and skills are valuable ways to help people out of poverty. For Bob commitment, or ‘skin in the game,’ can be things like money, resources (such as space), time, access to training, etc. They keep their partners well-informed of the rules and about what’s going on. Through the programs of their committed partners, they have been able to provide residents with training and skills to get better jobs to help them be in a position down the road to purchase their own home. Their partners work closely with residents to try and help them on their journey to self-sufficiency. Bob shared that there are some potential partners who want to look good, smell good and yet do nothing. They try to sort these out very quickly by discerning how engaged they are in the partnership. If not, they get out of it as quickly as possible. Bob says if you’re trying to accomplish your goals, you can be 10 times more successful if you collaborate. We have certain expertise while other agencies have expertise in other areas and collaboration tries to bring that together to provide more efficient ways to serve. Matt is co-founder and executive director of Brackets For Good, an Indianapolis, Indiana based 501(c)3 charitable organization focused on activating new donors and increasing awareness for other nonprofit organizations through competitive, online fundraising at no cost. Brackets For Good is a online fundraising tournament where local nonprofits compete against one another to out fundraise each other, advance through a bracket style tournament, so they’re competing head-to-head round by round. They advance in this tournament, they’re gaining more dollars, more awareness, new donors, and the winning organization will have a chance to receive a $10,000 grand prize from a very generous corporate sponsor. He is a Butler University graduate with a successful background in software marketing and previous experience in co-founding a nonprofit school for computer programing Eleven Fifty and marketing consulting company Sixty100. Almost always within nonprofits social media defaults to being the intern or volunteer task. Why should this be the case? Through digital platforms you are broadcasting a message to many people about your organization that you care so much about; but you are not really taking responsibility for and ownership of that strategy by simply delegating it. They don’t have as much experience of your organization, the good it’s doing and in telling its story, in telling your story. Find a way to spend time learning this new tool that is going to better the organization longer term. It is an amazing opportunity to tell your story to people who want to hear it. You’ve got to tell them the story and make sure they understand it. Own your organizations social media voice. The digital world can seem a complicated and difficult space to operate in, which may in part explain why there is such a large number of nonprofits NOT engaged with it at all, or only in a very limited capacity. But really, you just need to start somewhere, anywhere, and doesn’t need to be a big action. I encourage organizations to see what tools they already have available to them, tools that are truly accessible. It could be as simple as making better use of your website or as simple as an email. Could you start a standard email newsletter to better engage with your board, or your volunteers, or your beneficiaries? What does it look like for you to start doing something today that can be a good stepping stone? We all know the old hat marketing terminology “Invest in Your Brand” right? In todays world nonprofits really should consider this in relation to digital development in the same was as they do flyers, traditional fundraisers and volunteer drives. When it comes to nonprofits operating in the digital space people gravitate to, discover, and learn more about something that they can relate to, access easily and that really appeals to them. So, when I say invest in your brand, I mean both raise your awareness and your outward communication, and social media is a great place to do that and reach a really wide audience with minimal effort and cost. So just don’t hesitate. Don’t be the best kept secret anymore. She has crafted and conducted training seminars in a wide variety of related skill areas, such as communication, customer service, career development, change management, creative problem solving, decision making, personal accountability, strategic planning and having FUN at work. Whitney’s participant centered approach to training & facilitation puts her clients, students and participants at ease, enabling them to take full advantage of her extensive experience in the non-profit sector. You can listen and enjoy the full discussion with Whitney in our podcast. And here are some of the highlights. ...it became clear that one of the key elements to a successful relationship between myself and my board was getting clear about the expectations. Then, learning how to hold each-other accountable for those expectations in a way that was respectful, that was effective, and that moved the mission forward. Learning how to create permission and have those conversations, and set up our meetings in such a way that allowed us to deal with the expectations and discuss what ACTUALLY happened up front made the biggest difference, I think, in our ability to communicate more openly and more effectively. When you have people who struggle with dealing with conflict or struggle with change, you can also see that they struggle with the accountability piece. So, sometimes it went well, sometimes it didn't go well. What we tried to do was create permission in a culture that allowed us to have difficult conversations, to call a time-out and say, "I'm sensing some tension, let's have a conversation about what's happening here." Accountability is very closely related to trust. Making sure that you are continuing to build a culture that fosters trust makes it a little bit easier to get that mutual accountability that's so effective. I really believe in taking, and investing, the time that you need into creating that cultural piece. It's a slow down to speed up, if you will. Sometimes you do need to really prepare, and plan, and slow things down so that along the way you can move more quickly. Every time that we ended up having these conversations, the more and more we practiced holding each-other to the things that we said we would accomplish, the more we stopped and asked a clarifying question, the more we got to know each-other. We got to learn about the conversations that needed to happen beforehand, to help everyone arrive to the meeting prepared to have the better focused conversations that we really needed to have. For over a decade, Topher has been convening and connecting people for the purposes of social change - first, with co-founding the Highland City Club, a membership community of 300 change-makers in Boulder, Colorado, then to managing Dunton Hot Springs, one of North America’s top all-inclusive resorts and retreat centers. He now leads the Opportunity Collaboration, a global network of 1400 nonprofit leaders, for-profit social entrepreneurs, grant-makers, impact investors, corporates and academics building sustainable solutions to poverty, and has created Conveners.org, a trade association for fellow impact conference organizers. Ultimately the goal of Opportunity Collaboration is to bring nonprofit leaders together in a broad community network and facilitate a supportive environment in their vision to solve global poverty. We discuss how they are providing a way they can see where their professional emphases overlap, where they might be able to escalate and scale up their efforts, or even support others to do the same, in a non-traditional inclusive process. The focus of the Opportunity Collaboration work is much more to do with the inner, personal work that we as nonprofit leaders are doing. What's our story? What's our path? What's our personal experience of poverty? How have we handled power and privilege as it relates to the work? What are the emotional triggers that we bring into the field? Etc. The unconference model we use is unique in the sense that there are no fundraisers, no keynotes, no PowerPoints, pitches, presentations, etc. Every session is designed to be a dialogue for around 15 people. It's a chance to be very open, raw and real, and perhaps even vulnerable with each other. As a result, many partnerships and collaborations can develop which are progressed outside of the event, through ongoing connections to move their visions forward. With anyone who enrolls to attend an unconference we have several touch points as part of that enrollment process. It's our chance to understand what each of these delegates are working on, what it is they're hoping to get out of being at the Opportunity Collaboration, what is it that they're hoping to contribute to the other folks that are there. We also have what we call a guide program, a group of delegates who have participated in the Opportunity Collaboration who help all the folks coming for the first time to really understand what they're getting into, why it's a different conference structure, and what that means in terms of the culture that underpins the Opportunity Collaboration. The guiding question of “what can I do for you” is really the core of the culture here. I think what differentiates us is the safe space we create for delegates every day to have these delicate conversations, to really make meaningful dialogue, have a learning arc and have a transformative experience as a result. We work hard making sure that the facilitators are top-notch facilitators and trained really well, and that the dynamics of individuals in those groups - which we construct with great care - are tended to. Sometimes things don’t work out as you hoped. About four years ago, we decided to try getting all four hundred people together in one room for part of the day, and organized a panel (yes, that flies in the face of the unconference model) made up of a facilitator, a non-profit leader and a prominent funder. The idea was to explore the dynamics around power and privilege as it exists between funder and fundee in the nonprofit world. It did give an opportunity to air those concerns, but it became very confrontational, we did very little in that conversation to actually address those dynamics and move forward. So in a way we failed at the intent. I'm thankful though that we tried, that people saw Opportunity Collaboration as a space where otherwise taboo subjects could be aired. We've since done a lot of things to improve the funder/fundee relationship, it’s now a much healthier conversation in the Opportunity Collaboration. Nonetheless, it was very cringe-worthy during those couple hours, but we learn and move forward! We have as our guest this episode of the Nonprofit Leaders Network Podcast, the Reverend Richard Johnson. Richard, who's better known as Richard "Stonefingers" Johnson to fans of his gospel/folk/blues style of music, is the President and CEO of Christian Formation Ministries (CFM for short) based in New Albany, Indiana, and a volunteer chaplain at Henryville Correctional Facility. The focus of our discussion is the area of succession planning; the impact of a change in leadership on a nonprofit and how leaders themselves can transition out of that leadership role. Having been involved in prison ministry for over twenty years, the principal focus of Christian Formation Ministries actives is in two key programs - supporting and mentoring those transitioning from prison to free society and a mentoring program for the children of inmates. Our main topics for discussion are on the subjects of marketing and nonprofit collaboration, and how these can help nonprofits go further, faster. Live Healthy and Thrive Youth Foundation, is an organization focused on fostering and promoting children’s health in and around Atlanta, Georgia. They educate children on healthy lifestyle habits so they avoid obesity, diabetes, and hypertension. Their goal is to help them get healthy for life. In this episode of the Nonprofit Leaders Network Podcast series our guest is Dr Tuck Tinsley, President since 1989 of The American Printing House for the Blind (APHB) which is based in Louisville, Kentucky. The world's largest non-profit organization creating educational, workplace, independent living products and services for people who are visually impaired, it was founded back in 1858. Funded by an annual budget allocation of $25 million a year from Congress they provide services to almost 62,000 register students, have 144 ex officio trustees covering those students in the fifty States and outlying areas, and an eleven strong Corporate Board. They also provide services to the Library of Congress and the IRS. In the interview we explore a number of the issues that managing such a very busy and complex nonprofit can present. Here are some of the highlights. As an historic and long established organization largely run by educators, but working in a fast paced and changing field, we were very fortunate in 1997 to have been introduced to Toyota to see if they could help us with the production side of the business. They ‘adopted’ us as an organization and and for six years we had their process engineers here. That helped us see that whilst for many years we had been doing good work we were not that efficient, or innovative. So we examined, listened, learned and applied that. Our product offering went from ten in 1996, to twenty-one new products in 1997 and we have averaged eight-five new products in the last five years, to better serve our customers. Last year we did a study which showed that the biggest change in education is technology, so it was essential that we developed and keep up to date an efficient technology strategic plan across all our thirteen specialist project areas including early childhood, tactile graphics, braille, low vision etc. We now have a team that works to develop android and iOS programs, and integrate other growing areas such as You Tube etc. into our offering. We have also added into that a seed technology endowment to see if we can get donors to match some of it, and use that to underwrite some of the products and the research. That will be very beneficial. We also learnt from Toyota to really engage with and listen to our customers needs and ideas, just because we didn’t have the idea doesn’t mean to say we can develop and produce it. So we now go from a teacher saying “Hey it would be great if you could produce something that would do this” to identifying that need, developing a prototype to address that, pilot testing, field test and produce it. We schedule a review for five years to see if it’s still needed, or if it’s obsolete. These processes made a huge difference to how we operate. It’s okay for nonprofits to use corporate methods and experience to help them be better nonprofits. The greatest feeling in the world is to hear the successes of those you've served through the things you're providing for them. Conner Prairie has transformed from a very traditional outdoor history museum into a vibrant, busy family and educative destination, providing immersive learning about nature, technology, arts and crafts and the natural environment, all in a historical context. They are also the summer home of the Indianapolis Symphony. With visitations last year of just over 360,000 they are now one of the most visited outdoor history museums in the country. We believed at Conner Prairie that we were educating visitors by spewing information at them, but we were turning them off; they really didn’t want to take in reams of information when they were trying to have a fun day out. So we had to rethink what we were really trying to do, what was our mission and function in the community. We used taped recordings of honest visitor experiences to show how they were confused and bored with our current offering, and how, when we changed that to encourage people to explore, be hands-on, and follow their interests, it resulted in much deeper engagement and satisfaction. It enabled us to move from what we thought we were doing into understanding what we really could accomplish, and that became the start point for our transformation. As hard as we try as organizations to make assumptions about what our clients, customers or visitors think, until we really observe their behavior, stopping talking to ourselves, and honestly look at what is happening we will not get a true picture. We have to go beyond focus groups and traditional feedback forms, and find ways to look at how people are actually behaving, responding to our offerings. It is hard to do, but essential to bring about true transformational change. At Conner Prairie we started this change in 2003. It probably took six or seven years for everyone to be really on board, including managing a significant governance dispute; when you start something like this you are in for the long-haul. Alongside the mission and offering change, there was a lot of other realignment and skills diversification happening at the same time. When you are working at capturing the hearts and minds of the employees and volunteers at a non-profit through periods of major change it can be a long and hard process. Their motive for being with you in the first place relates directly to their own identify and their belief in what you are doing. Being sensitive to that and making significant change to your organization takes time and sustained effort. Visit www.SocialGoodInstigators.com for the transcript and additional show notes. ocialGoodInstigators.com for the transcript and additional show notes. Our guest this episode of the Nonprofit Leaders Network Podcast series is Mark Clark, CEO of Generations for Peace, the leading global non-profit peace building organization, which he joined in 2011. Mark has been a corporate lawyer and served as a British Army Officer, and his diverse experience includes humanitarian and emergency relief work, sustainable development, youth leadership, post conflict transition and democratic governance. Generations for Peace is dedicated to sustainable conflict transformation at the grassroots level, and empowers volunteer leaders of youth to promote active tolerance and responsible citizenship in communities experiencing different forms of conflict and violence across the Middle East, Africa, Asia and Europe. Peace building is a long-term process. It needs long-term commitment by us to the volunteers we are supporting and to their communities. Over the last eight years we have trained just under 8,900 volunteers with an average age of between 25 and 35. We want to be working in communities with them for many years, and to really see a deep transformation of the conflict dynamics in any particular case, and be able to seize emergent opportunities for progress as they arise, year-by-year. We focus is on where we can start to build relationships via our youth leaders, knowing that their influence may be small at the beginning. Starting with a focus of just moving from A to B, then B to C and so on, adapting to change as we go. We use the adaptive process of gaining trust, gaining acceptance, and gradually rolling out different forms of activities to allow our volunteers to really gain access to people throughout the chain of influence in their locations. Our adaptive, step-by-step approach means that we have to make a big effort to educate our donors. We have to have evidence of the impact our actions are having. Are they sustainable, are they cost effective? With those big questions in mind, we devote a lot of energy into our monitoring and evaluation; of the people running programs, direct participants and also the wider community who are touched or impacted by those directly involved. That depth and breadth of review gives much richer, more compelling data and evidence. We have an organizational culture where making mistakes is okay. To learn from those mistakes we include in our program cycles space for learning and reflection. If you can build that into your routines and the way your teams work, then you have the opportunity to turn what may seem to be mistakes into, probably, the most valuable learning that will drive your innovation and implementation. Davy Irby the founder of Surge International is our guest in this episode of the Nonprofit Leaders Network Podcast series. Dave has travelled the world as a soccer coach, or football coach as it would be called in other parts of the world. He is a missionary using the powerful platform of soccer to share a message of love and hope in over fifty countries. Holder of a USA Soccer A Coaching license and a Masters degree in Teaching, Dave founded Surge International in 1991. Surge currently works in eight countries, including Burundi, where Dave is headed next. To access a transcript and links to resources mentioned in today’s interview visit http://nonprofitleadersnetwork.com/nln10/. We covered a wide range of subjects in our discussion. Here are some of the highlights. Often, vision is a process. The vision for me was God given. I was coaching soccer and I began praying for what God would want me to do, and one of my players said. “Why don’t you bring the soccer team down to Mexicali with our outreach group to play some games …a game in the men’s prison and the boy’s prison in the village?” So we did, and that first step of faith of a five-day trip led on the following year to a twenty-three-day jaunt to five or six countries. I felt called into youth soccer full time without knowing hardly He was doing it. I think the vision shapes over time and it changes and morphs as you stay with it. We measure the impact that our work is having both through informal feedback that we receive by staying, for example, in the trenches looking into peoples eyes and seeing the how privileged we have been to bless them, and through some formal processes we have in place. We get written reports from, say, Burundi of things which are happening when we are not there and other forms of feedback. Mostly though we kind of have a feel after years of doing this what’s working and what’s not, and that combined with the feedback helps us decide whether to continue with a project or not. I am what I’d call a random visionary. I am all over the place, and there are no set hours. When you run nonprofits I think you really need to manage your time. You need to ensure that you make time for your family, as well as everyone else you tend to want to help. Set aside time, make formal appointments in your diary, carve them out time; sit down face to face as a family communicating with no other distractions, which in this day and age is hard. These are things that I think have really helped. Our guest this episode of the Nonprofit Leaders Network Podcast series is Pamela Darnall, CEO with Family and Children’s Place, which she joined in 1994, becoming its CEO in January 2014. Pam helped lead the merger of 2 organizations in 2008 to create Family and Children’s Place and has held leadership positions with these organizations for more than 20 years. Family and Children’s Place works with children and their family members who have been exposed to, or are vulnerable to child abuse or family violence, serving between 5,000-6,000 people every year. We can sometimes become a little challenged with our own board because we expect them to have the level of knowledge of our field that we have. We can forget that these are very busy people who have their own professions and skills but not, necessarily the same in-depth experience in our area. We take the route that it is our job to fully inform the board, not to assume knowledge, to help them understand the issues we are presenting and provide clear supporting information so that the board members can make very informed decisions. There are some very simple ways that can be done, for example, I try to have coffee or lunch with each board member individually at least once a year, as we have just over 30 board members that’s a lot, but it is important and makes a real difference. I also try to keep in contact with them at board meetings, not just around the meeting table. We have also started to work on getting the board members connected with each other so that they feel like a team, sharing why and how they are personally connected to the mission. A really exciting thing happened when, at a recent board meeting, we gave each board member the name and phone number of two donors, and took 10 minutes out of the meeting for them to call those donors and say Thank You. Everyone did it and afterwards felt that it was a really great way for them to be better connected with those who support us. We are going to try and do that at each meeting, it really got them engaged and talking about what we do. For the full transcript and show notes visit www.SocialGoodInstigators.com. Broc has held a wide variety of roles in nonprofit and government sectors in Florida. He is passionate about creating an informative, effective organization to support, promote and strengthen the extensive nonprofit sector there. With an exceptional record in public policy, advocacy, government relations and strategy he is excited to use those skills to help this young organization provide a united voice for nonprofits in Florida on legislative policy and advocacy. Working together creates a stronger voice – When the state of Florida was passing a major bill relating to Solicitation and Contribution, it was clear this would have great impact on the nonprofit community through increased transparency and accountability. The Alliance, because of our partnerships, was able to be a go-to resource for the state charity regulators to make the bill be the best it could be for all parties and help the nonprofit industry gain trust and respect. Nonprofits are an essential part of our community – The state of Florida has over 76,000 nonprofits with about 70 billion in revenue, that’s huge, and accounted for at least 5.5% of the state workforce. It’s essential that legislators understand the importance of this contribution to the economy. Government contracts extensively with nonprofits to deliver services and meet needs that they cannot, and cannot live without the nonprofit world serving clients across our communities. Nonprofits CAN lobby – Lobbying has become a dirty word in some people’s minds but even a nonprofit 501c3 is allowed to lobby. Lobbying is effectively asking someone to take a certain position on a bill, as opposed to advocacy which is about raising awareness and educating on the impact of a bill. It can get a little in the weeds there, when it comes to lobbying there are some great state non-profit associations like mine to help with very specific examples a nonprofit might have with lobbying and understanding the various limitations. Building Partnerships – Rather than just looking for partnerships focused on funding, also look for ones to help further your mission, perhaps a well-respected product or program could become a model for different working relationships and collaborations beyond the traditional ways. Partnering with a group that works with your target market that could use your services. Think of a new creative way to do that. Margot considers herself to be the luckiest woman in the arts world. After 35 years and six jobs in the arts and humanities, she now lives and works on a mountain south of San Francisco surrounded by artists and redwoods and earth and sky at one of the foremost artist residency programs in the world. Since 2011 she has served as the Executive Director of Djerassi Resident Artists Program. Focus on What You Have in Common - Let’s not look at what divides us, let’s look at the things that we share and what we are trying to do with our missions and work to expand those ways in which we can work together. Collaboration: You Don’t Need Permission - If you do not feel like you are powerful enough that people will say yes to your invitation, do a smaller invitation at first and then expand the circle and expand the circle and expand the circle and take that all information as good approach. Collaboration: Take Time to Build Consensus - I like to have a conversation that does not rush to a decision too quickly. I like to hear from anybody: what is the problem, what do you see as happening with you and your organization? So what, what does that mean? What impact that is having on your organization, good, bad, indifferent? How do you feel about it? Now what can we do? The biggest mistake we make is rushing to the decision part too quickly. Everybody has got to be able to talk. If you go through this process you are getting pushed up the hill backwards rather than trying to drag everyone along with you. Whispers, If Not Attended To, Can Become Big Problems - Every problem you have is a whisper you ignored. WHAT IS YOUR WHY? My why was I would look after these kids, I'd go over there and I would look at these kids and I would think about the old George Bernard Shaw quote, some people look at these children and they would ask why? Why are they this way? And I would look at these children and see their future and say why not? IDENTIFYING YOUR WHY PROVIDES FOCUS. I think really understanding why keeps me from just seeing the black hole of needs. You can drive yourself crazy trying to start a program to meet this need, a program to meet that need. We had things we were doing for adults and we backed off all of that because our focus is basically birth to early 20's and our focus is providing opportunity for these children because you can't do everything. It would be nice but you can't. It can really take up a lot of energy and funds doing work that's not focused on your goals and on your why. MOTORBIKES CAN SAVE LIVES. Then we recognized that, on foot, you might be able to carry one and walk with two. But if he had six or seven kids needing the clinic, you'd take the worst ones and leave the rest of them. Well we get motor bikes for all of the feeding site supervisors and all of a sudden they could take all the kids to the clinic. They can make multiple trips, no big deal. Those little motorbikes are saving lives. We’ve gone 20 months without losing any children. That's really exceptional in a country where the mortality rate from one month to five years is 23.8%, almost one in four. THE BOARD LEADS THE WAY IN GIVING: The first group of people that we went to was the board. Julie, my wife, and I established an endowment. Dave and Debbie also established an endowment and then Wayne and his wife, Lanie, established an endowment. So the board put their money where their mouth is. I also had a couple of close associates who were wanting to be philanthropic and I described this vision to them and they were interested as well. Something I read recommended ten touches a year. So we make a phone call to each of our endowment founders quarterly, send happy holiday cards, Christmas cards, and 4th of July cards which no one else does. So, that kind of gets a little bit extra attention. We'll probably send Veterans Day cards out because a large part of our group so far is military folks. We are doing a semi-annual newsletter and then we've got the end-of-the-year campaign which includes the thank you phone call, a thank you letter, an annual report on how the foundation is performing, and then, of course, toward the end of the holiday season, the annual solicitation. Last thing, we also do an annual gift. You know, paper weight or a key chain or something like that. So, if you're an endowment founder, you'll hear from the Enduring Charity Foundation at least ten times a year. SET AND TRACK GOALS: The great success for the first year is that we achieved and then went beyond our initial goals. The way that I describe the first year to people is it happened in thirds. The first third was establishing the organization, getting the bank accounts and ensuring that we were following regulations and laws. The second third was getting our tax exempt status. The last third was setting up seven endowments totaling $25,000 which will generate a thousand dollars or so of support to those designated charities year in and year out forever. So, it was a pretty darn good first year. FINDING BOARD – STAFF PARTNERSHIP. It's certainly possible for a board member to do both roles, but it takes a lot of communication and even then it can be tough for board members to do both: to have the big picture perspective that a board member needs to govern effectively and also, to be involved in some of the minutia of day-to-day work. DON’T ASSUME. One thing that's been a really key lesson for me is to not assume what goes without saying. And it can be really hard to anticipate what does and doesn't go without saying. It's just an ongoing journey for everyone to understand what their role is and what authority they have to make which decisions. Sometimes it can feel like over-communication to say the things that we perhaps thought might go without saying, just say them. EMPHASIZE THE BIG PICTURE. As our board was shifting from a hands-on board to a more governance focused one, it was useful for me to emphasize the big picture whenever we were reviewing a financial statement or anything like that. And then we can get into some of the minutiae of specific line items or whatever. But starting with the big picture with any communication with them. Helping everybody understand that we’re there to look at, was the big picture. FOUNDING. The first strategy for us was to talk to other people who had run organizations. Then we looked for a few people who could come alongside us help things get started. We approached potential board members with the idea that they would give us their time and give $3,000 a piece annually to our start-up. Amazingly a number of people came forward. SETTING FEES FOR SERVICE. The first year we set the price point fairly low because we were establishing a price point in a market that didn’t exist. We then realized all these churches said yes too easily. So maybe the price point wasn’t high enough. When we looked at our bottom line budget, we knew it wasn’t a sustainable model. That’s why we upped it the second year. Ironically, we had twice as many churches sign on the second year and there wasn’t any pushback. YOUNG ADULTHOOD. We’re at the 10 year mark now. We feel like know who we are and our mission’s pretty clear. Now we just need to figure out who we want to be for the next ten years. So in the fall we’re entering into a strategic planning process. We’re involving our past and present board members, our donors, past students, current students and all of our employees and beginning to think about what we do next. Adapting Programming. We we’re not the kind of organization that’s going to continue doing a program because we’ve done it for 30 years or 10 years or whatever. If there’s no need for it in the community or the needs have become much more obvious in another area our organization is such that, that we change and evolve according to those needs. Recruiting New Board Members. I’m always looking, always talking to people. I invite them to board meetings, I try and get them placed on one of the councils to let them get their sea legs so to speak and understand a little bit more about the organization... Most people that are with us, are with us heart and soul. Not a casual resume building type of activity, they really do care about what we doing and that makes it a lot easier to recruit. Greatest Success: There is no doubt that the greatest success is tied into the outcomes for the children that we worked with. These young people originated in the inner city of Orlando and honed their crafts as leaders and took what they’ve learned at a small Christ centered ministry in Orlando and took it around the world. To me, that’s success. When to Let Go: Every person has a gift and a plan for their lives, but when they’re not producing fruit for your organization then it’s time to transition. You have to balance the personal commitment to people to the commitment to making the organization grow. What to Look for in a Board Member: One of the biggest myths that exists is that board members only come to bring their expertise. Every board member has to be committed financially. There is no way you would be able to encourage others to commit financially if the executive and the key leaders such as the board are not 100% committed. Now that may be different at the various levels of peoples’ capacity to give, but there should be 100% giving. First Steps in Recruiting the Right Board: Don’t only look at people’s ability to give or the name of the company that they work with. That’s a huge mistake, because many times you can get people who happen to have resources or they work for a large company or a foundation and they’re not committed to your mission. Make engagement as a volunteer part of your recruitment process for board Members. This makes sure that your nominating process identifies people whose passion is connected to the work that you do and not just going after the resources and their affiliation with a particular company. Measuring Board Effectiveness: Rather than just look at board effectiveness, it really should be a focus on institutional effectiveness – looking at the effectiveness of the executives, the effectiveness of the board, from a strategic standpoint, and looking at are we accomplishing from a strategic goal standpoint versus what we said we’d do. Start with two committees. One that evaluates the executives on a consistent regular basis with another that looks at the effectiveness of the board and the board members. Are we accomplishing what we said we were going to accomplish? Is every board member giving on an annual basis? Are board members Have they accomplished their personal goals? Keeping the Board Engaged and Michael Jordan Syndrome: In the early days when Michael Jordan played for Chicago (before his support team improved and Chicago won the championship) most of the team sat around and watched him score. He scored 63 points in the playoffs, but nobody else on the team really did anything. But they still lost. What happens with nonprofit directors and CEOs is they have the Michael Jordan perspective that the board sits back and watches the executive director, “Oh, look at this person. She’s doing a great job. Look at all the money she’s raised. Look at the buildings she built, look at all the program outcomes. Wow, great job!” They’re watching but they’re not engaged in it. CEOs have to be very careful they don’t get caught in that trap because then it becomes your work and not our work. The board sits back, waits for the CEO to do it. They’ll say: “Well why didn’t she get that done? I don’t know why, she’s gotten it done in the past.” That’s the trap, so you have to very, very astutely make sure everyone is engaged in the outcomes and that everyone is held accountable for those outcomes. Find out more at http://bullockconsulting.net/nln1.